Open plan house with 2 large double bedrooms downstairs and a large mezzanine floor with 3rd bedroom upstairs. The living area has a log burner (fire screen provided) which heats the whole house. Firewood is provided. New kitchen with dishwasher. Ranch sliders open out onto a large flat fully fenced private and sunny section creating indoor/outdoor flow. The house is sheltered, and in a quiet street. Only a couple of minutes walk to the lake and an enjoyable 20 walk along the waterfront to the town centre. The house is also close to walking and biking tracks. There is enough room to park an average size boat. Linen (sheets, pillowcases and towels) is supplied. Cleaning of $80 is compulsory due to the variance in the past of self cleans. We prefer to let our house to couples,families and mature groups. Great location for Edgewater and a bit of piece and quiet from the busy township. Good sized bedrooms and outdoor space. Pretty clean, good for a short stay ?? Comfortable, private and ideally situated. We had an excellent stay, once again enjoying 5 minute proximity to the lake, easy 20 minute walk to town, open plan living and private recreational space. we were joined by four other family members who all also loved being there and all are keen to return. Ken's very friendly and helpful answers to queries made the entire booking process easy and straight forward. Nice new carpet and new TV really raised the bar on the sense of comfort and pleasure. Cosy House has become a firm favourite and we'll definitely be back. Always a pleasure to host you and the family and always happy to have you back. Location for Wanaka and the lake was great from here and Rippon winery at the end of the road is well worth a visit if only for the spectacular view. Accomodation itself is basic and bach like but perfectly comfortable but on the warm side with no aircon. My only gripe would be that there is a charge for cleaning but didnt find it particularly clean in the first place. Despite this i think it good value accomodation for the area.. 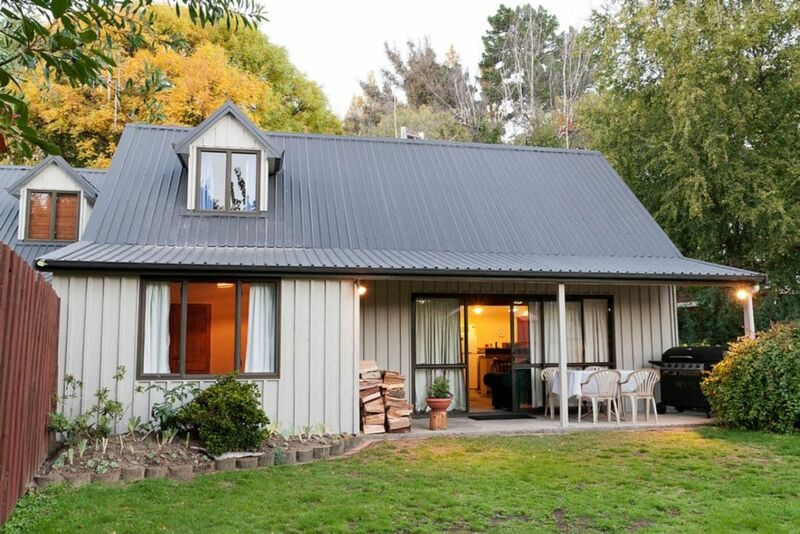 The cottage is in a great location, just a street above Wanaka Station Park. We loved being at that end of the Lake...the trail...and the park. The house is in a quiet location, and very comfortable. My only advice would be to brighten it up a bit with a few cushions on the dark couches. I put my sarongs on back of couches, bought yellow lilies for table, and pulled the lovely wicker chairs in to the area to make it cozy. A couple of outdoor chairs for fab yard would be nice too!